Shirlie was called to the Bar in 1997 but in 2002 transferred to become a solicitor specialising in criminal law. Her experience allowed her to attain Higher Rights of Audience in 2007 and since then she has mainly practiced in the Crown Court. She has represented clients at every stage of criminal proceedings from the police station in the early hours of the morning right up to the Court of Appeal. Shirlie quickly developed as reputation as an outstanding HCA, earning the respect of the Judiciary and her peers; she founded the Manchester HCA group to help improve quality and standards of solicitor-advocates. 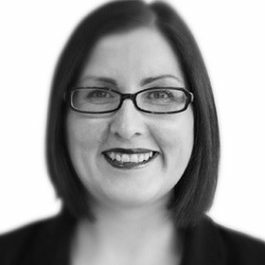 Shirlie has a good understanding of the pressures facing solicitors and is keen to assist them by providing prompt and informative feedback from court and in conferences. Chambers welcomed Shirlie in October 2012 when she transferred back to the Bar. After 14 years of defending criminal cases she is now on the CPS Advocates Panel as a level 3 prosecutor. She has provided evidential analysis & charging advice to the CPS Welfare, Rural and Health division. Shirlie earned a reputation as a formidable advocate with enviable success rates in criminal trials. She is instructed on a range of cases: serious sexual and violent offences, conspiracy to supply drugs, money laundering, conspiracy to commit armed robbery and burglaries. She has been led in three murder trials and a money laundering/fraud case. Professional Disciplinary work is a large part of Shirlie’s practice. She is instructed by the General Medical Council to represent the Council before Interim Order Panels, Fitness to Practice Panels and the High Court. She also instructed by the Local Authority to prosecute Regulatory offences.